There are many questions that still remain about the hoax that led many to believe that Notre Dame football player Manti Te'o had a girlfriend that passed away in September of 2012. As we now know, his girlfriend was not real and it was all just a cruel prank. 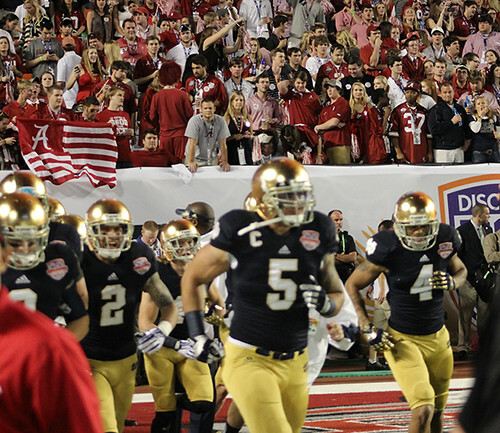 The question that is forefront in many of our minds is: How could Te'o have been fooled? He appears to be an intelligent guy, and is well-known. How could this have happened? Remarkably, it seems that other athletes have also fallen victim to the trap of entering into online relationships with "imaginary" individuals. In Te'o's case it seems that there may have been cultural factors that were at play that contributed to his involvement in this hoax. For many of us in the majority culture, we may be quick to dismiss the suggestion of cultural influences on something such as this. But in an intriguing piece in The Atlantic Monthly, Ilana Gershon offers some insights into Samoan culture that may explain some of the dynamics affecting the Te'o story. "As an ethnographer, I heard a number of stories that sound almost exactly like Te'o's story—naïve Christian golden boys who had been fooled by other Samoans pretending to be dewy-eyed innocents. Leukemia was even a theme—I guess Samoan pranksters keep turning to the same diseases. I heard these stories as gossip—women in their late teens or early 20s would tell me about how a much sought-after man in their church had been fooled. I never talked directly to a victim or a hoaxer about this, so I didn't write about this in any of my academic work. I did this fieldwork before Facebook or cell phones, and even before email became widespread outside of college circles. All the stories I heard involved husky voices on telephones, and maybe a letter or two. So much of this news story is hauntingly familiar to me from fieldwork with Samoan migrants: the role of family, the half-hearted attempts to verify a person's identity that fail, the strong spiritual connection Te'o thought he felt with Kekua, and the hoax itself. He chooses family reunions over possibly seeing his elusive girlfriend. He understands when she is forced to do the same. In Samoan life, family obligations always triumph, and often seem to keep lovers apart. The only part of Te'o's story that I found strange was that, upon hearing that his girlfriend had died, he only sent white roses to her family, and his parents also only sent flowers. The Samoan migrants that I knew would have sent money, and the amount would have signaled how much the family valued the potential alliance. Flowers alone really wouldn't have cut it." After considering this whole situation through a cultural lens, perhaps this may not seem as odd to many of us as it initially appeared to be. Our cultural background often influences how we behave and also how we respond to the behavior of others. I'm willing to consider that at least some of these cultural factors may be a part of this developing story. 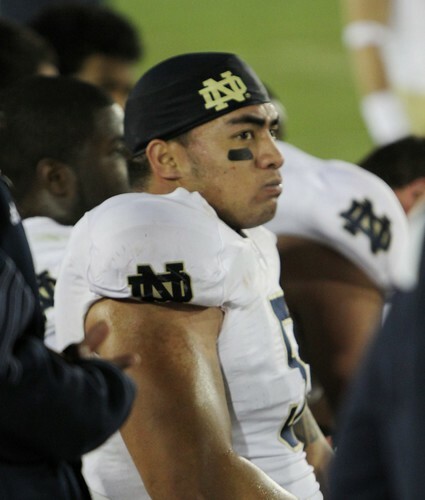 To read the rest of Ilana Gershon's piece on Te'o please click here. Katelyn Beaty of Christianity Today has written a compelling article highlighting some of the work of Christians that is helping to revitalize the Motor City. Though many people have given up hope on a city that is close to my heart, God is not finished with Motown. Many followers of Christ are faithfully seeking to be God's hands and feet in this great city. 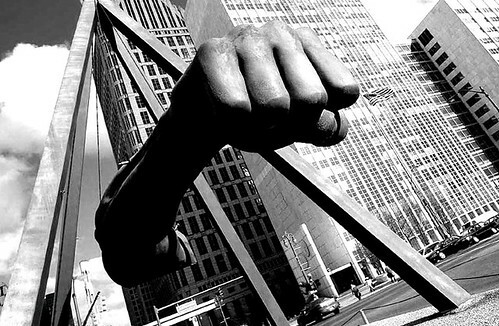 "Glimmers of hope—economic hope, at least—have begun flickering throughout the Motor City. Start-ups pushing tech innovation and sustainability have flocked to Detroit, drawing young entrepreneurs from New York City and Silicon Valley. Stik.com moved its headquarters from San Francisco to the M@dison Building (purchased by billionaire Dan Gilbert) recently. A Whole Foods is slated to open in the hip Midtown area early this year. Among these giants, young entrepreneurial Christians are joining Detroit's slow turnaround. Margarita Barry, a Detroit native, has at age 26 launched three start-ups: 71-Pop, a retail store that carries locally designed clothing and wares; Detroit Design Lab, a web development firm for local nonprofits; and I Am Young Detroit, a website that spotlights other entrepreneurial Detroiters and will this year begin offering them micro-grants. "I want to empower young people to pursue their passions within the city, so they're putting their dollars in the city and creating jobs," says Barry, who came back to Detroit in 2007 after earning her bachelor's degree in Ohio. "You don't have to be a Donald Trump to change Detroit." Diallo Smith was "bent on making money" as a financial analyst in Houston when, he says, God intervened and redirected him to pastoral ministry. When he and his wife returned for a wedding in 2006, "we both felt God calling us back to Detroit," says the pastor of Awakenings, which meets at the Detroit School of Arts in Midtown. But Smith found that "newer churches in urban centers [face] sustainability issues, because economic realities are different than in the suburbs." To both bolster the downtown economy and offer a unique third space for locals, Smith is launching a table tennis social club, the first of its kind anywhere. "Imagine Kanye West playing Ping-Pong with Tony Blair with dub-step playing in the back-ground, surrounded by a café and wine boutique—that gives you a sense of what Drive is." Located in a downtown commercial hub, Drive will operate much like a bowling alley, charging visitors per hour per table, or for unlimited membership. Smith says the model is strategic in more ways than one, allowing Christians to form relationships with Detroit entrepreneurs, which is what has happened at Awakenings' art gallery. "We Christians need to be at the forefront of being imaginative, creative, and innovative in bringing economic viability for cities that are hurting," he says. The key for Christians, though, will be doing so in a way that rightly remembers their city's history—and their neighbors. "Newcomers come in without a sense of history and act as though Detroit is a blank canvas," notes Mark VanAndel, pastor of discipleship at Citadel of Faith. "When he said that, it was like a knife went through me," says Carey. "This is 'the bottom'? You can't imagine the grief a person feels when this is the place that is home. I didn't realize how deeply I'd be offended when other people, even Christians, would joke about Detroit," says Foster. "It's like they were making fun of my kid." In the mind of many evangelical leaders, the reverend is right. 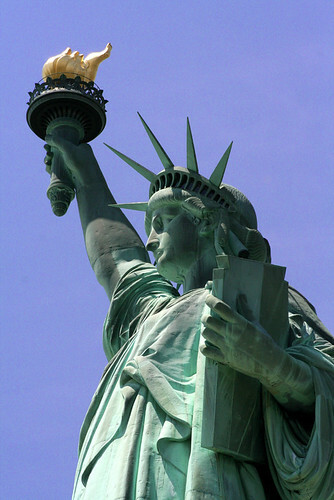 The coalition is called the Evangelical Immigration Table and it is brought together a diverse mix of evangelical groups, including the Southern Baptist Ethics and Religious Liberty Commission, the National Association of Evangelicals, Sojourners and Focus on the Family. Though the groups began holding broader discussion two years ago, Monday will serve as the campaign's first concerted push on immigration, with the goal of getting meaningful immigration reform through Congress in 2013. "High school graduates will face less competition for college admission in the next decade because of a decline in their ranks, according to a report on education enrollment trends released Thursday. 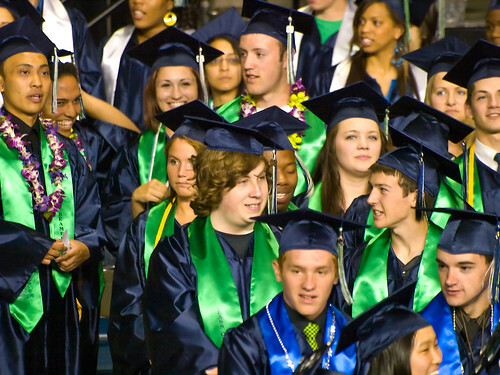 Estimates show that 3.21 million high school graduates are expected in 2013-14, according to a new report. At the same time, Latinos and Asian-Americans will comprise larger shares of high school populations, while numbers of white and black students will drop. “Over the last two decades, colleges and universities have been able to count on an annually growing number of students graduating from the nation’s high schools. But it appears that period of abundance will soon be history,” said the study issued by the Western Interstate Commission for Higher Education. Campuses will have to recruit more heavily, possibly reaching beyond typical geographic territories and turning to older adults and other nontraditional populations, the report said. The number of high school graduates increased nationally for a decade, peaking at 3.4 million in 2010-11, but then lower birth rates and less immigration contributed to a decline. Estimates show that 3.21 million graduates are expected in 2013-14, according to the report. Then it projects a leveling off until growth in the next decade brings the level to 3.4 million again by 2023-24. The effect will be uneven. The Northeast and Midwest will experience the largest declines, with smaller ones in the West and some growth in the South, the study found. The study anticipates that 45 percent of the nation’s public high school students will be nonwhite by 2019-20, compared with 37 percent in 2009."